It started out as a black and white picture, the only color the yellow in the logo. 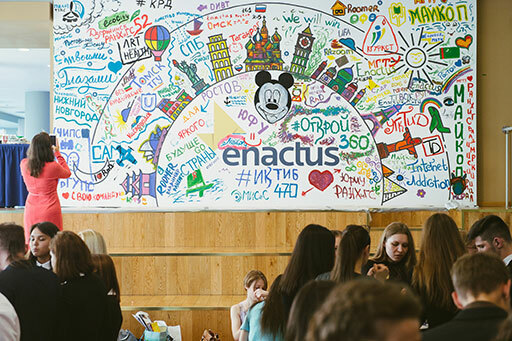 But as nearly 300 Enactus Russia supporters came together in Moscow for two days of competition, collaboration and celebration, the mural, which featured landmarks from cities around the world, quickly came to life, full of unique ideas, beautiful colors and different perspectives. 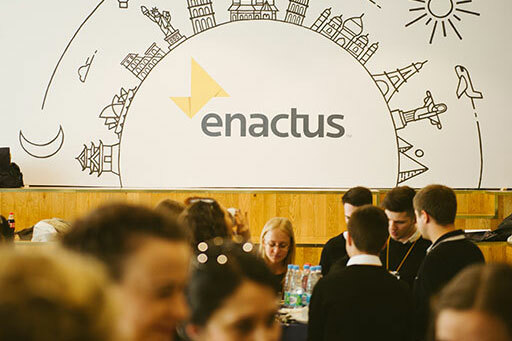 The finished product is a perfect representation of Enactus: the students and supporters worked on it together as a team, but each person had the chance to infuse their individual ideas and perspectives, which made it so special. 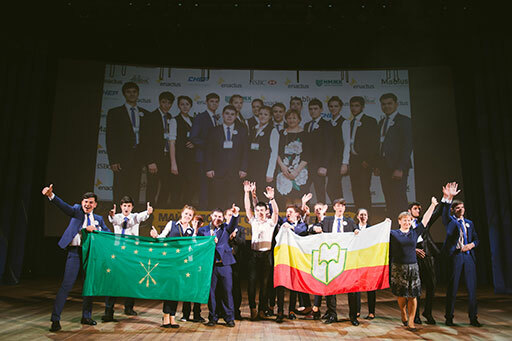 After a series of 10 regional competitions, 19 teams from across the country earned the right to travel to Moscow and defend their regional title in hopes of being named the national champion. Excitement was building as the event kicked off with the opening ceremonies, which saw a series of award presentations, a presentation about the UN SDGs, the introduction of teams, and the drawing of leagues. 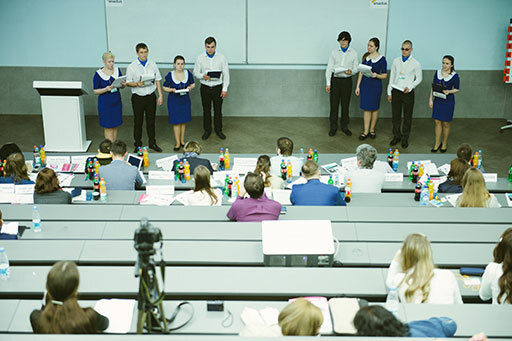 In the first round of competition, 49 executives carefully watched presentations and asked meaningful and relevant questions, eventually narrowing the field down to a final six teams. 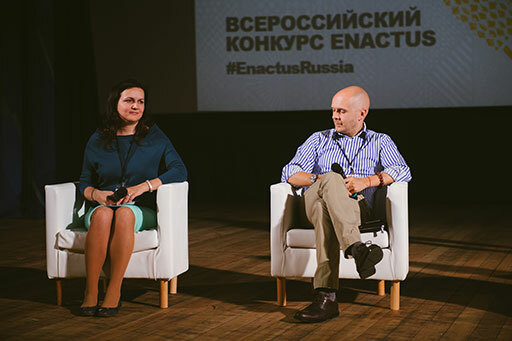 Those six team took to the main stage to present once again, this time to a panel of 17 top business leaders from across the country. 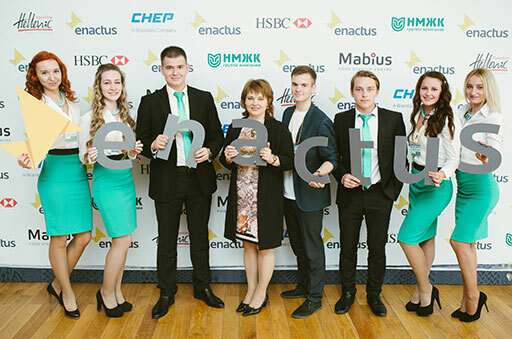 The Enactus Russia team and their social ambassadors did a great job capturing all of the highlights from the competition, featuring posts about each finalist team. 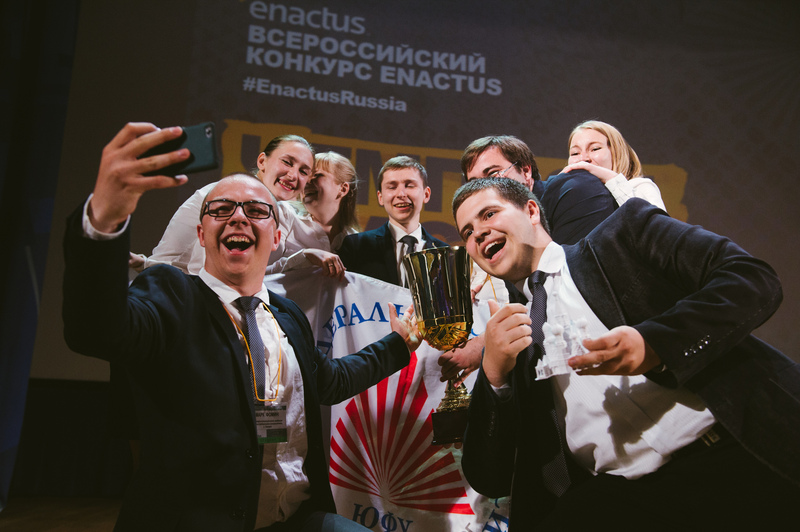 At the conclusion of the day, it was the team from Engineering and Technology Academy of Southern Federal University who hoisted the cup and earns the right to represent their country at Enactus World Cup taking place in September this year. 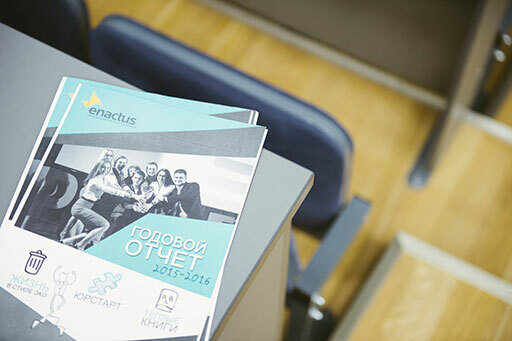 The team presented a number of initiatives including Touch Museum, which creates tactile exhibitions using 3D printing for visually impaired people; and Eco Future, which developed and implemented an innovative collection system for recycling. 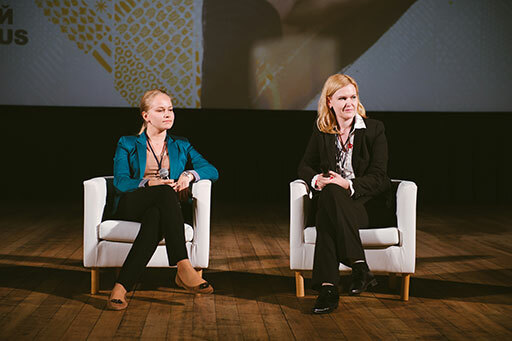 Attendees were also treated to a series of panel discussions that included executives from companies such as Coca-Cola, CHEP, Oriflame and NMGK Group of Companies, who offered their perspectives on social entrepreneurship and how to be an ideal candidate upon graduation. 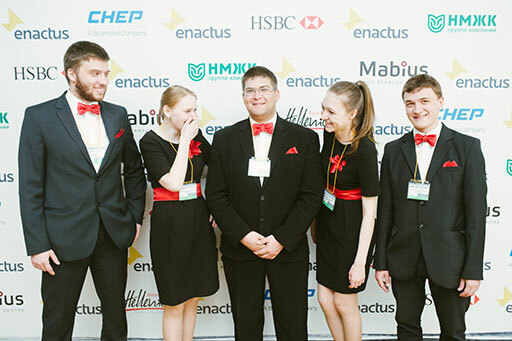 Of course, no national competition would be complete without fun and friendship, which you can clearly see in these pictures from the event!